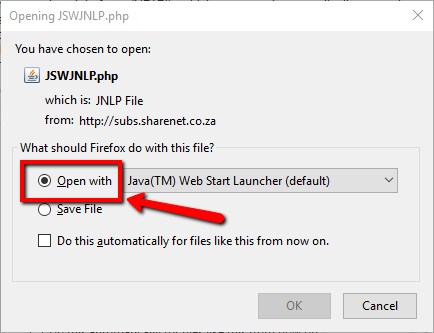 Internet browsers no longer support Netscape Plugin Application Programming Interface (NPAPI) which means Java applications such as JavaCHARTS will no longer load automatically. Just click on the button below to launch JavaCHARTS end-of-day version. 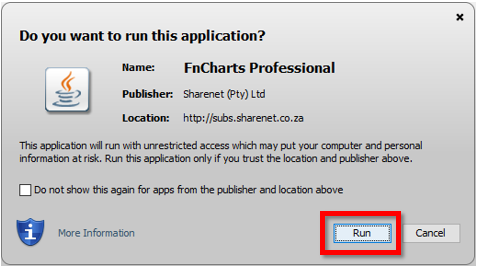 You may see some of the prompts shown below the launch button, just click where indicated. Sign up to get 18 years history, 15-minutes delayed data, ability to load/save studies, more indicators, ability to go full-screen mode and all that MySharenet has to offer!